A common and oft heard remark from Christians is that when they die they will go to Heaven and meet with St. Peter at the “Pearly Gates” when they enter the Kingdom. This is such a popular scenario that there are entire Web sites devoted to St. Peter-at-the-Pearly-Gates jokes! 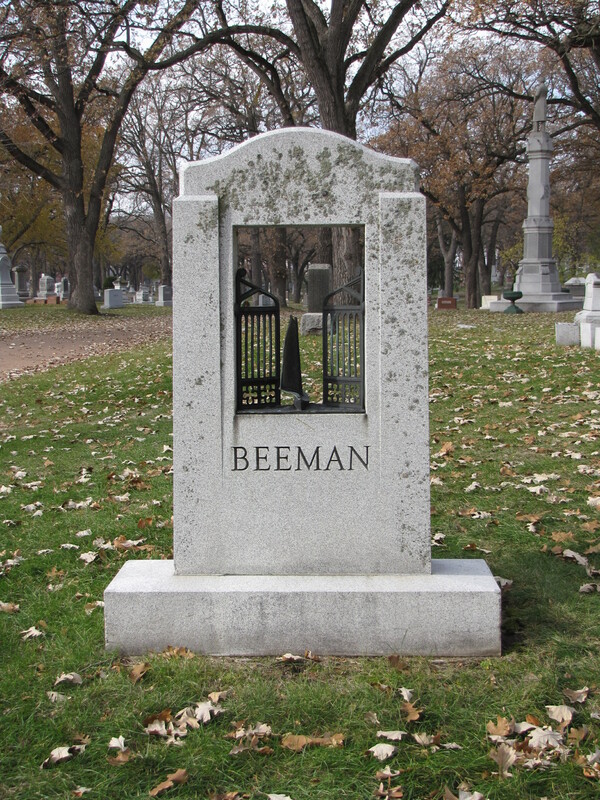 The Beaman Family gravestone, in the Lakewood Cemetery at Minneapolis, Minnesota, has an open gate, a common symbol found in American cemeteries. Often the gates have stars, a single, star, a dove, or a banner above the open gates. 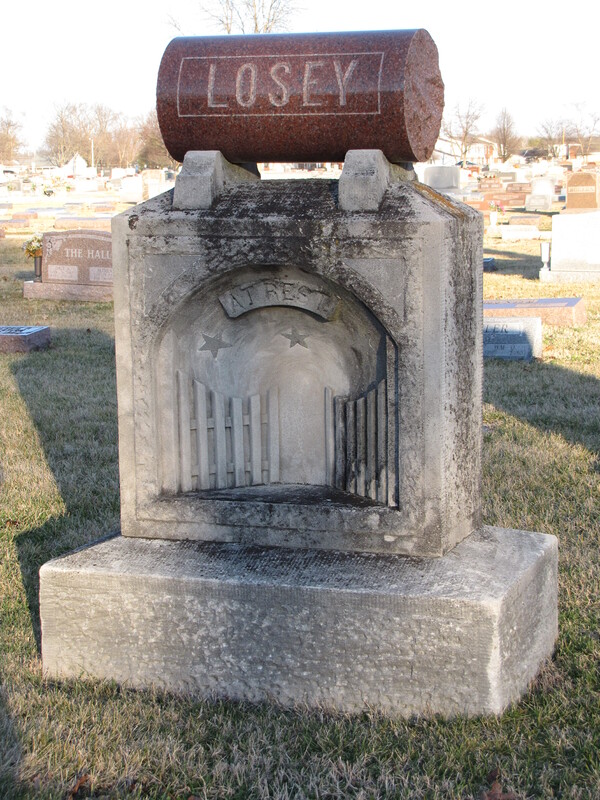 What is different about this open gate motif on the Beaman Family Monument is that it is cast in bronze and built into the monument, not merely carved into the face of the gravestone. It is also different because passing through the open gates is a sail boat as if the smooth waters allowed the soul gentle and safe passage on the placid waters on the way to Heaven. The open gates are central to the Last Judgment. 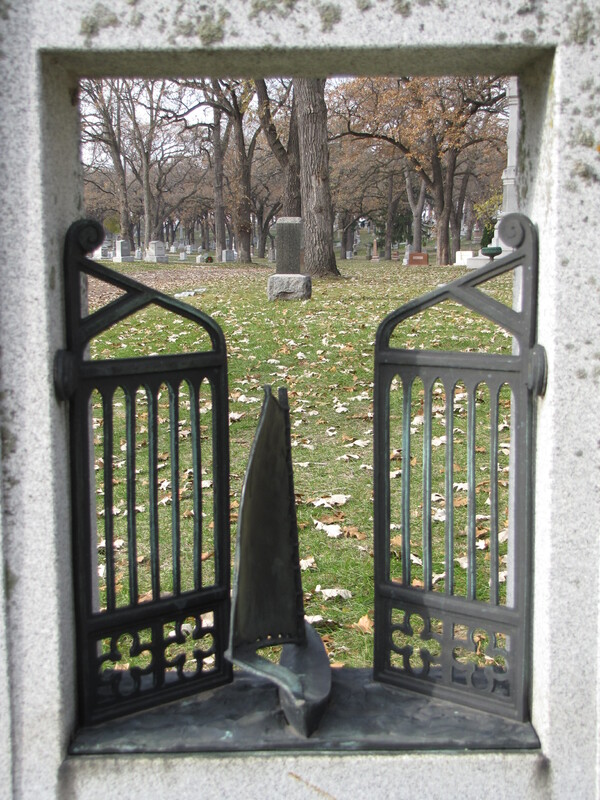 The gates represent a passageway from one realm to the next. The gates are the portal for saved souls to make their passage from the Earthly realm to the Heavenly realm upon Christ’s return. Wow, that is really cool. I’ve seen stones with gates on them before, but the sailboat is really unusual!